The move will affect the business that was earlier with Naresh Goyal-promoted Jet Airways. 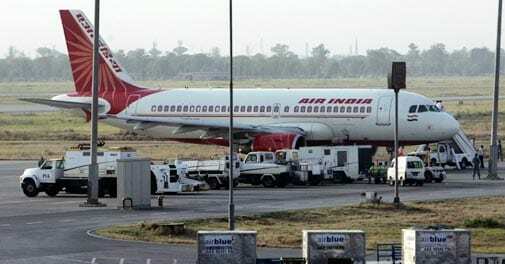 The decision came after a recent meeting between Air India representatives and a Tata Group team where the state carrier offered better rates to the salt-to-steel conglomerate. The Tata Group has asked its group companies to fly state carrier Air India, a business that was earlier with Naresh Goyal-promoted Jet Airways. The decision came after a recent meeting between Air India representatives and a Tata Group team where the state carrier offered better rates to the salt-to-steel conglomerate. A Tata spokesperson confirmed the development. "A Tata team that engaged with Air India was able to arrive at a good rate and all group companies have been advised to choose that rate. It will definitely be a saving [for the group]," the spokesperson said, but did not specify the amount the conglomerate would save. Industry estimates suggest almost 35 per cent of Jet's corporate travel business comes from the Tatas and the company will definitely feel the pinch of this business going away. Jet Airways , which last year sold a stake to Abu Dhabi-based Etihad Airways, did not respond to queries for four days. Corporate travel in India has slowed down as economic growth remains tepid. The Indian aviation market has moved towards a low-cost model in recent years with budget airlines offering almost two-thirds of the total seats. This has left Jet and Air India to fight it out for the corporate travel business, and any big corporate house moving its travel business out of any one airline impacts profitability. Lately, both airlines have experimented with a hybrid model and are converting some aircraft to all-economy seats. Jet Airways posted its worst-ever quarterly loss of Rs 891 crore in the three months through September 2013 while passenger yields fell 11 per cent. Air India, which offers about 4,000 business-class seats with 60 per cent load factor, will get a boost from the Tata Group's decision also because it has strengthened its network on the key Mumbai-Delhi route. An Air India official said the Tata Group's decision might also be influenced by the airline's improved on-time performance, induction of new aircraft and better services. The airline is considering offering Wi-Fi services on board and is also set to join as a member of Star Alliance, one of the largest commercial airline alliances in the world. Industry insiders say also that the Jet-Etihad partnership is being seen as a direct competition to the Tata Group, which announced the launch of a full-service airline last year with Singapore Airlines. The Tata Group is India's largest conglomerate with total revenue of $96.79 billion in 2012/13 and more than 100 operating companies in seven business sectors.